Several closely watched mortgage rates were down today. The average rates on 30-year fixed and 15-year fixed mortgages both trended down. On the variable-mortgage side, the average rate on 5/1 adjustable-rate mortgages also trended down. Rates for mortgages are constantly changing, but they remain much lower overall than they were before the Great Recession. If you’re in the market for a mortgage, it may make sense to lock if you see a rate you like. Just make sure you’ve looked around for the best rate first. 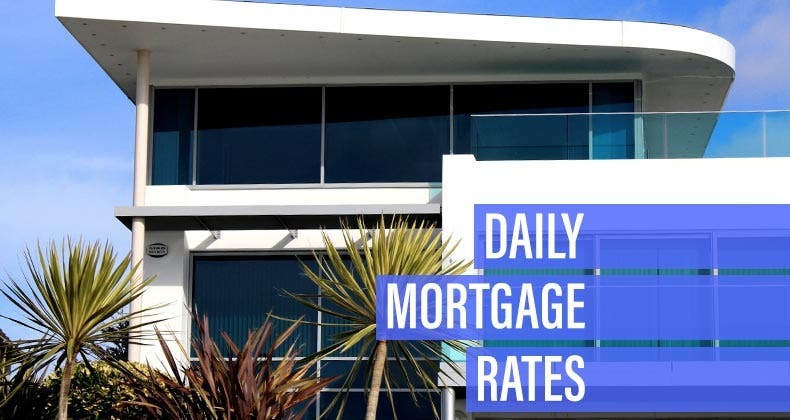 The average rate you’ll pay for a 30-year fixed mortgage is 4.35 percent, a decrease of 13 basis points over the last week. A month ago, the average rate on a 30-year fixed mortgage was higher, at 4.44 percent. At the current average rate, you’ll pay principal and interest of $497.81 for every $100,000 you borrow. That’s lower by $7.69 than it would have been last week. The average 15-year fixed-mortgage rate is 3.78 percent, down 14 basis points since the same time last week. Monthly payments on a 15-year fixed mortgage at that rate will cost around $729 per $100,000 borrowed. That may put more pressure on your monthly budget than a 30-year mortgage would, but it comes with some big advantages: You’ll come out several thousand dollars ahead over the life of the loan in total interest paid and build equity much faster. The average rate on a 5/1 ARM is 4.11 percent, down 23 basis points over the last 7 days. Monthly payments on a 5/1 ARM at 4.11 percent would cost about $484 for each $100,000 borrowed over the initial five years, but could increase by hundreds of dollars afterward, depending on the loan’s terms.